‘Avengers: Endgame’ sells 1 million advance tickets in India - Odisha Television Ltd.
Samsung Galaxy A70 price has been revealed in China. Samsung has kicked-off the pre-orders of the new Galaxy A-series model in the country with an initial price of CNY 2,999 (roughly Rs. 31,000). At the same time, the Galaxy A70 has also been listed in India. A microsite detailing the key features of the Galaxy A70 has been added to the Samsung India website. This hints at the imminent India launch of the new Galaxy A-series model. 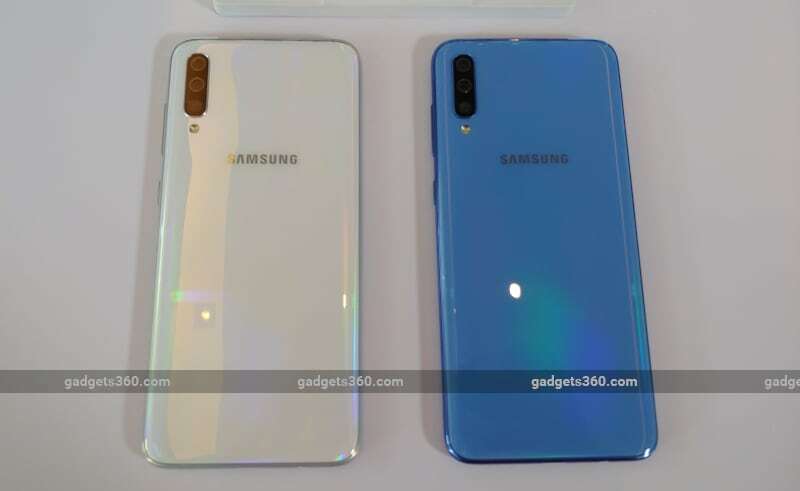 Samsung while launching the Galaxy A80 earlier this week announced that the Galaxy A70 will go on sale starting April 26. The Galaxy A70 was announced last month with an Infinity-U Display panel and is powered an octa-core processor. The phone also runs Android Pie with One UI on top. The official Samsung eShop in China has revealed the price variants of the Galaxy A70 by started initiating the pre-order process. While the 6GB RAM variant of the Samsung Galaxy A70 is available for pre-orders with a price tag of CNY 2,999, its 8GB RAM model is listed at CNY 3,299 (roughly Rs. 34,000). There is no word on the Samsung Galaxy A70 price in India, however it is likely to start around Rs. 31,000 considering the China pricing. Separately, the official Samsung India website has now included the dedicated microsite of the Samsung Galaxy A70. The new microsite doesn't reveal its price and availability details for the Indian market. However, it showcases all the notable features of the handset, including its triple rear camera setup, Samsung Pay integration, 25W fast charging, and on-screen fingerprint sensor. The microsite also lists the key specifications of the Galaxy A70. With the arrival of the microsite, it is quite presumable that Samsung is set to soon launch the Galaxy A70 in India. The company, as we mentioned, announced the global availability of the Galaxy A70 at the time of launching the Galaxy A80 earlier this week. Runs on Android Pie-based One UI, the dual-SIM Samsung Galaxy A70 features a 6.7-inch full-HD+ (1080x2400 pixels) Super AMOLED Infinity-U Display panel with 20:9 aspect ratio. The phone is powered by an octa-core Qualcomm Snapdragon 675 SoC, paired with 6GB and 8GB RAM options. It also comes with 128GB of inbuilt storage that is expandable via microSD card (up to 512GB), with a dedicated slot. For photos and videos, the Samsung Galaxy A70 sports a triple rear camera setup that has a 32-megapixel sensor with f/1.7 lens, an 8-megapixel sensor with an f/2.2 ultra-wide angle lens, and a 5-megapixel depth sensor with an f/2.2 lens. The phone also has a 32-megapixel sensor at the front with an f/2.0 lens. The Galaxy A70 has an on-screen fingerprint sensor and supports facial recognition. Besides, it packs a 4,500mAh battery that works with Super-Fast charging at 25W.